Yes, today is Indigenous People’s Day, so meaningful to me after my recent experience, following the Potawatomi Commemorative Trail of Death. 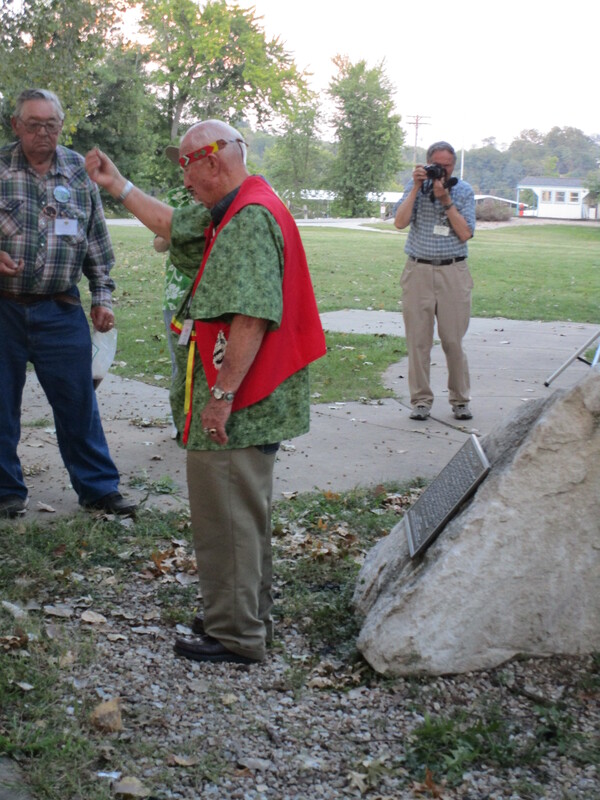 It was such a blessing, hearing the stories of Potawatomi elders, Robert Pearl and George Godfrey. as they shared the wisdom of our people in so many ways. 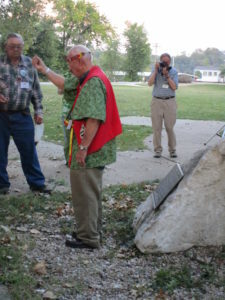 Here is Robert Pearl blessing the historical marker in Quincy, Illinois, just before we crossed over the Mississippi River in to Missouri. He is doing the traditional Potawatomi blessing with sema, tobacco, in the 4 directions, east, south, west, north, in that order. East is the direction of new beginnings. May we all be open to new beginnings in our respect and caring for one another: many cultures, one people, each of us created in the image of God.